The Armory here has several television sets hanging in hallway corners, all of which are set to the FOX news channel. I tried changing one of them to C-SPAN. Within about 2 hours, they were set back. This is very sad. 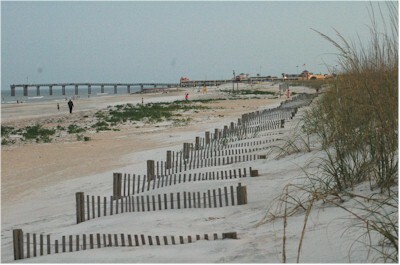 The photo is St. Augustine Beach looking south toward the public fishing pier from one of the raised boardwalks..